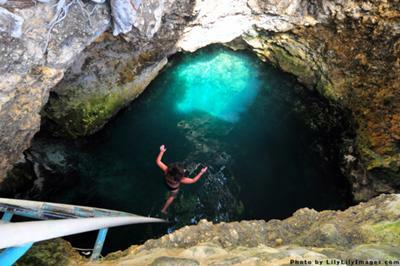 The 'must visit' Blue Hole Mineral Spring near Negril, Westmoreland, Jamaica! New! Click Here for our review of Blue Hole Mineral Spring, including their contact information. I have never been there as yet, but it's certainly on my agenda for my next circling of Negril! My online friend, Matt, is the owner. 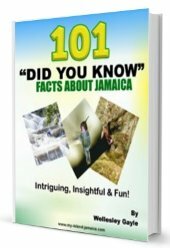 According to their website, the "Blue Hole Mineral Spring sits beneath a cavernous opening in Jamaica’s terrain and is completely encased by Karst limestone. The naturally occurring minerals in the limestone act as an underground filter for the steady upwelling of water, leaving behind a luxuriously pure bath of minerals for guests to enjoy." It is open by 9AM every day. The mineral spring and swimming pool remain open until dark while the bar serves guests late into the evening and early morning hours until the last person leaves. 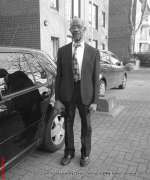 If you wish to get more information or to get directions to get there, telephone 1-876-860-8805. Great attraction, inexpensive to jump, includes a lovely pool (if you're too chicken to jump the hole) and a great little bar to toast your daring. Friendly people, a must-see! This was my second trip to Blue Hole Mineral Spring. This year, the lodge was nearing completion and promises to be another special place. The spring was as great as it was last year. We met outstanding people. The food was terrific and gives you a real feel for authentic Jamaica. The people were wonderful....most gracious...courteous and always there to cater to you to make the experience special. I thought it was a great place. I didn't stay in the resort but I jumped into the blue hole swam in the pool and drank some red stripe and had a good time. It's 30 min by car to negril but only 10 by motorbike so it has access to the beach and bars if you are thinking of staying there. Fun place to visit. Even though only one of us had the nerve to jump into the cave, it was still cool. We enjoyed the drive from Negril too. The new hotel will be beautiful, with great views. One of our favorite places to hang out! Distracted from life, I was reminded how to live. ...and by the way, Blue Hole Mineral Bath/Spring is located just about 25 minutes from the Negril -the tourist capital of Jamaica! I will be there Matt! The Clayton family have been sweet to me every time I come.They respect me highly,and I do the same.I pray for the family when i'm at home in Dallas Tx.They all way watch over me and I thank God for the family.Let them know I love them.